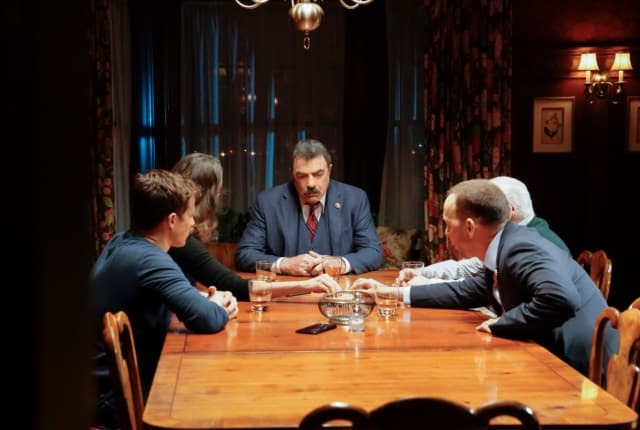 Watch Blue Bloods Season 8 Episode 22 online via TV Fanatic with over 8 options to watch the Blue Bloods S8E22 full episode. Affiliates with free and paid streaming include Amazon, iTunes, Vudu, Netflix, Hulu Plus, CBS All Access, Verizon On Demand, and CBS All Access (Via Amazon Prime). On Blue Bloods Season 8 Episode 22, the entire Reagan family is involved when a series of murders occur after six wrongly convicted men are released from prison. I'm putting on a real brave face out here but between me and you, I'm having a really hard time, babe. I miss you. It's not like I lack for partners. Baez is a god send, the boys are growing into the role. My family, they've always got my back. They're Reagans, it's how we're raised. I keep trying to remind myself I'm rich with partners but you're the only one that really matters.